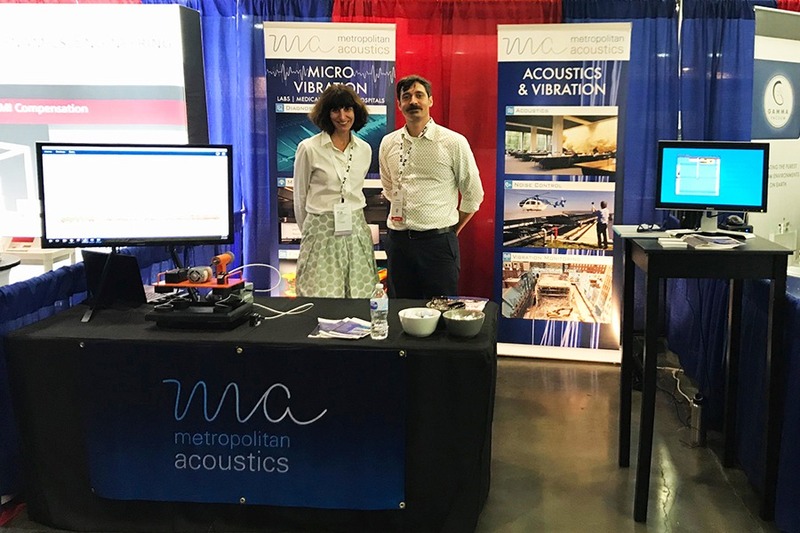 Metropolitan Acoustics was responsible for the interior room acoustics design for the main performance theater (Downstairs Live) and café theater (Upstairs Live) at the World Café Live in Philadelphia, PA. The World Café is a renovation of an existing 40,000 sq. ft. Art Deco warehouse building known as the Hajoca Building. The Downstairs Live theater seats 300 people in its normal seating capacity and 650 standing room only configuration. It is a two-story space with a mezzanine in the rear and a bar below the mezzanine. Our recommendations included approximately 2,000 sq. ft. of 3″ thick acoustic panels on the walls and ceiling over the audience area to provide an optimal reverberation time. Upstairs live acommodates 100 people in an intimate café setting. The recommended finishes include an acoustic tile ceiling in various planes and an adjustable curtain on the rear wall. 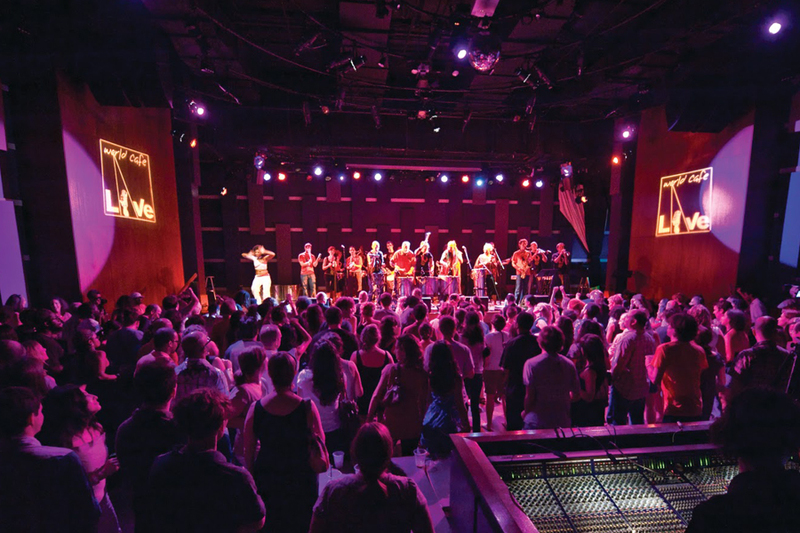 The space, which opened its doors in 2004, has developed a reputation as one of Philadelphia’s premiere live music venues. Both performers and audiences rave about the acoustics.